I have been hunting with Action adventures since 2013, 3 private land hunts with Jay and one pack in hunt with his son Justin. In 2012 I decided to finally pursue my dream of elk hunting; it was a little overwhelming with all the outfitters out there. 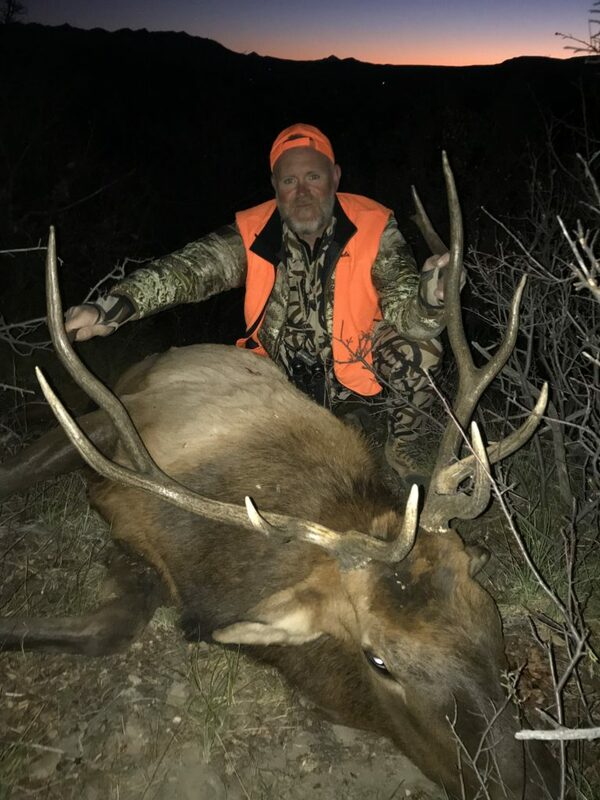 By a chance encounter I met someone who had hunted with Action Adventures and even though he had not harvested an elk he had nothing but great things to say about Jay, his hard work and his honesty. Me and two of my friends booked our first hunt in 2013, after hunting that season I see why the gentleman I had met had nothing but good things to say. Jay is one of the most honest hard working guys I’ve had the honor of meeting. Me and one of my friends ended up harvesting a cow elk the first year, I was hooked!!! Since that first hunt I would say Jay has become more than my outfitter, he has become my friend and I would not hesitate to recommend him in a heartbeat. If you do your part you have a great chance at harvesting an elk, Jay defiantly does his part, and he knows his land and the animals. 2017 was finally my year to take a nice bull, a 5×6 and my friend’s brother ended up taking a 6×6 the next day. I truly believe you come to Action adventures as a client but leave as a friend. I have already booked my next hunt, God willing I plan on hunting with him as long as he is outfitting.